Mohammed al-Munaifi and I met in one of the neighborhoods in Taiz. The 11-year-old puts his earphones into his small ears and turns up the volume to watch cartoons. He told me that he does this to escape the sound of missiles that the militias have been dropping on Taiz since their takeover of the city and its surroundings. Before the civil war broke out, Mohammed would play and have fun with his friends in Sayna, a district known for its hustle and bustle and vibrant crowds. Children once pierced the calm of alleyways with their lively noises. Along with them, hundreds of students enlivened the heart of the city with their comings and goings, to and from the many schools and universities. The people of Taiz are known for their keenness for knowledge and learning, and the city is famous for its commercial, professional and crafts activities. Its streets were crowded with workers and vendors from the city and beyond. In March 2015, war knocked on the doors of the city, immediately changing the governorate’s features. People’s activities disappeared and the activity of militias coming from the North prevailed. According to the latest population statistics, Taiz is the most populous city in the country. It boasts a population of four million covering both rural and urban areas. But with the displacement of half a million people, according to a World Health Organization report, normal everyday life activities have almost disappeared from some of its districts. Taiz is known as the dreamer city and is commonly referred to as the capital of Yemeni culture. The majority of people are well educated and hardworking. Sadly, few remember Taiz as it was or that it was a fortress of civil culture. The innocence of childhood has not been able to confront all the obstacles facing the dreams of children and adults alike. While the pure smiles on the faces of some children collectively mock death and destruction, the war has managed to kill the smiles of many others. Instead it replaced them with a fear that has settled in their hearts and is reflected on their faces. The young Mohammed told al-Madaniya that he no longer plays with his friends in the neighborhood, and that he rarely leaves the house to meet them. These days he spends most of his time at his home, located in the center of the city, watching cartoons and spending time with his family. When I asked him about his view on life and his feelings during the war, he replied, “It’s become dark like a black ninja”. Ninja anime are among his favorite series. 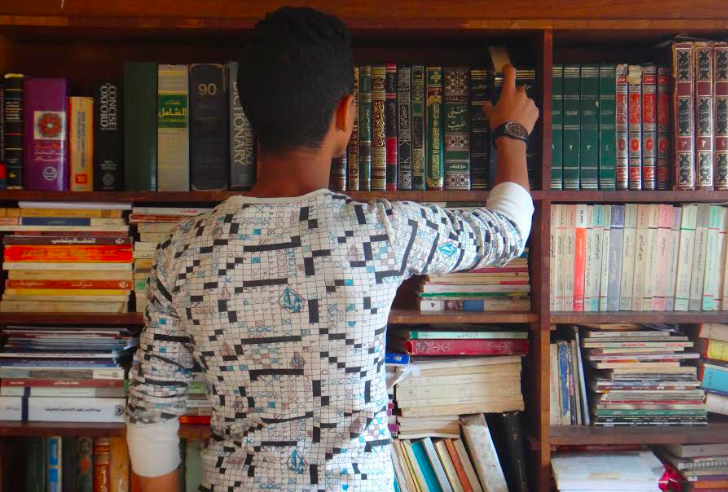 Overwhelmed by pessimism, Mohammed ended his conversation saying that he no longer wants to complete his studies and that he hopes to be a “war poet”. The Yemen Coalition to Monitor Human Rights Violations reported that the number of casualties caused by the landmines planted by the Houthis in Yemen reached 430, of whom 201 were killed, including 16 children. Meanwhile, during June 2017, the number of injured reached 229, among them 19 children. According to the monthly report of the NGO Coalition of Humanitarian Relief in Taiz, 8 children were killed in Taiz and 11 were wounded. As of last July, the war left 648 children orphaned, while 624 children lost support from family members whom they were dependent on. 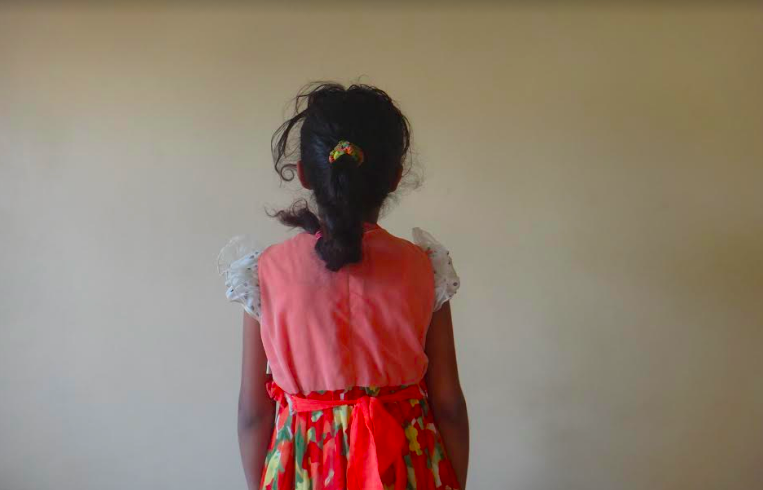 Many children in Taiz have been forced out of school, either as a result of their displacement, or their parents’ inability to meet school costs, or due to the deteriorating security situation and closure of schools. However, many mothers and fathers are still keen to educate their children. The concern these parents feel towards education stems from their belief that knowledge and education is a safety valve in the face of the culture of war and unrest that has prevailed recently. Through education, the hoped-for civilized and stable society will be achieved for Taiz and the country as a whole. It has been two years since the routine and life that Al Mutasim had was interrupted by the war. His return to university this year represents a window of hope, and an outlet for the 20-year-old and his colleagues. Al Mutasim insists that attending university has helped drive him out of the cycle of misery that he had fallen into. Recent events have made him more determined to continue learning, improve his qualifications and actively participate for the public good. Al Mutasim believes that one should not surrender to fate and that a better life is possible. Caught between the South and North of Yemen, the war intensified in the governorate by mid-April 2015, and the University of Taiz shut down. During the conflict its buildings became military barracks, but following the liberation of the university from the control of the Houthi militias, classes finally resumed in mid-July 2016. 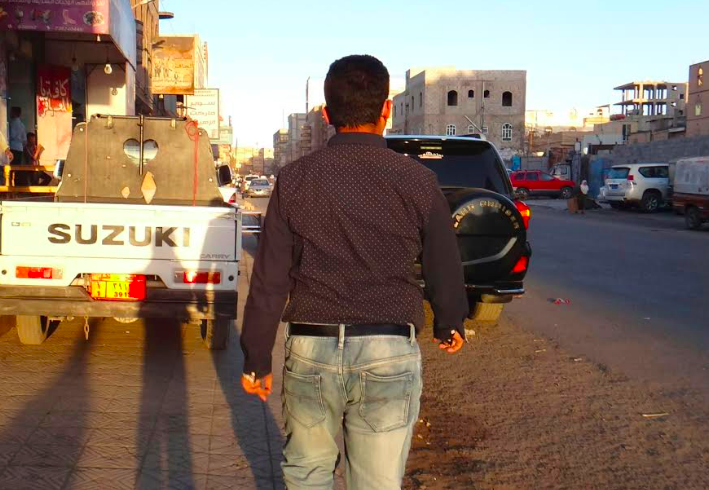 During the war, the stories of most of Taiz’s inhabitants resemble one another. They often share tragedy and pain, but they do not lack an element of hope and desire to live, and insist on enjoying life despite all the frustration. Samah Emlak, a humanities student at the University of Taiz, moved to the city at a time of peace in early November 2014. In her conversation with al-Madaniya, she thinks back a little and recalls that she struggled a lot before she moved to Taiz, because of her almost daily commute between her home in Ibb and her university in Taiz. This was what bothered her family the most. They were busy with work and her commute required that a male family member accompany her. So she moved to Taiz to solve the problem. However, this solution cost half of her father’s income. But living in Taiz gave her a sense of psychological comfort and she was able to focus on her education and building her knowledge. This was an opportunity she lacked when she spent half of her time traveling back and forth between Ibb and Taiz. The commute between the two governorates before the war was two hours; now it takes up to five hours to pass the checkpoints, inspections and travel along winding side roads. Samah argues that in only six months, she has achieved what she could not accomplish in years. She says she learned from Taiz the many meanings of freedom, steadfastness, values f moderation and conscious participation in civil society issues. Later, Samah was forced to return to Ibb but her dreams did not die completely. She, and hundreds of other students, registered as affiliated students at the University of Taiz. Despite the harsh conditions of displacement and war, Samah says her struggle and resistance continues through her pen. She insists that she consumes every valuable book she can find. Samah assures me that she is keen to smile and spread the warmth of smiles around her despite the suffering. The last salary government employees in Yemen received was ten months ago, and they have been living in tragic conditions since. The government accused the Houthis of depleting the country’s foreign reserves, and in September 2016 moved the Central Bank to the interim capital of Aden. This move affected approximately 1,002,000 civil servants. So far, both parties involved in the crisis (the Houthis and the government) have refused to pay the salaries of government employees. Following the closure of much of the public and private sectors, poverty levels have increased significantly. According to the World Health Organization, 82 per cent of the population is in need of humanitarian assistance. The United Nations announced that the suspension of salaries has exacerbated food insecurity, with around 7 million people (out of a 27.4 million population) facing the risk of starvation. When we met with one of the employees at the University of Taiz, Abu Usama al-Makhlafi, he expressed his frustration at the deterioration of his economic situation. After spending all his family savings, Abu Usama is no longer able to provide for the basic needs of his family. He also told al-Madaniya that he was very concerned about the fate of his three children, who do not have a good education in public schools. Under the current circumstances, the conditions in public schools have become deplorable. In the absence of some staff, a few volunteers joined to cover the deficit. However, this was done unsystematically and as a result they lack the qualifications, organization and sustainability. To make matters worse, schools are experiencing repeated strikes. Abu Usama explained, that like others in his social class, he is unable to place his children in private schools. Providing the necessary income for the family is Abu Usama’s first and foremost concern. Circumstances have forced him to work door-to-door selling medicines. So far he has been able to feed his children and his wife, but that, he reminded me, is not enough to keep him from the worries that continue to haunt him. “My family and I can eat and drink, but my biggest fear is that if one of my children gets sick, it will be very difficult for me to find the means to treat him. I also fear – if the war lasts much longer – the landlord who allowed us to live in his house without rent might ask us to leave”, he explained. Like Abu Usama, many in Taiz struggle daily to survive in these difficult circumstances. There are others in worse situations. There are those who were forced to emigrate legally, or are internally displaced or had to flee abroad. For those who remained in Taiz with their families, like Abu Usama, there is an added fear of the consequences of this war, and of the suffering and pain, on their children. Unsettling questions remain: What future will remain for the children of Taiz after the war? How can the world and the government address the situation here in Taiz? It is a heavy burden and an escalating human tragedy that continues to affect a large segment of Yemenis, with children at the forefront.